During a meeting with leaders of unregistered parties, President Dmitry Medvedev has said he is “seriously thinking” about limiting presidential terms to only two in a lifetime. 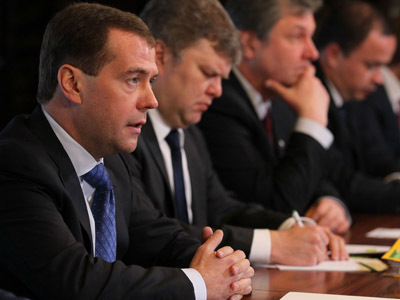 The Russian head of state held a first-ever meeting with representatives of the so-called “non-system” fringe opposition, at which Medvedev promised to consider opposition proposals. The leaders of unregistered parties noted the importance of the beginning of a dialogue with the authorities, but were disappointed that not all their ideas were supported. “Our political system is far from perfect and the majority of those who are present here criticize it, sometimes rather harshly,” Medvedev said opening the meeting. "In changing it, we should try to rely on common sense." The head of state noted that over the past four years he has been making changes in certain aspects of the system. “Now it is time to do this more actively,” he added. “Strange as it may seem, I may hear words of support on the matter from those who have gathered here today because you have no political registration. 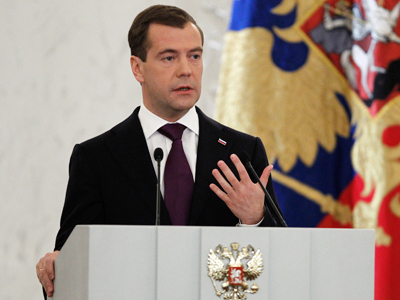 For you the liberalization of the procedure for creating parties as well as the general liberalization of political life may be a far more important problem than for parties that engaged in politics long ago,” Medvedev observed. The main point of the gathering, the president said, was to discuss the future of the political system in the context of draft laws yet to be approved by the State Duma. 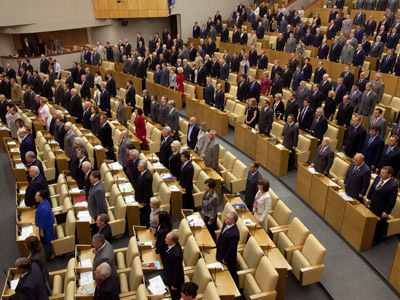 Medvedev has submitted to the lower house a bill on a new system for electing Duma deputies, a draft law on direct elections of regional governors, and also a bill simplifying the process of registration for new political parties. The opposition leaders in response put forward their ideas and demands. Boris Nemtsov – co-chairman of the People’s Freedom Party (Parnas) suggested amending the Constitution and banning one person from running for the presidency more than twice. “Medvedev said he likes this idea and is seriously considering it. Therefore, I don’t rule out that this may happen,” Nemtsov told RIA Novosti after the gathering. The Parnas leader also handed over to Medvedev a list of “political prisoners,” including the jailed ex-Yukos CEO Mikhail Khodorkovsky, and suggested they should be pardoned. The president said he was ready to study each case. “I believe there is a chance that some people from the list will be pardoned,” Nemtsov observed. Head of the Left Front Sergey Udaltsov proposed that Medvedev postpone the March 4 presidential poll and prolong his own term after making urgent amendments to the law. In Udaltsov’s view, the president could use that additional time in office to adopt new laws, “form election commissions in a new way, hold early Duma elections and then an early presidential vote, in order to ease tension in society.” Medvedev rejected the proposal. The president noted that the meeting was attended by people of very different political views, which he said was important in order to understand in what direction the Russian political system should develop. It was a “full-fledged discussion of all the aspects of the political reform” proposed by Dmitry Medvedev, said the president's press secretary Natalya Timakova after the meeting. "The discussion lasted about three hours,” she said. “All the participants had an opportunity to express their position." All proposals offered by representatives of non-registered political parties during the meeting "will be addressed by a working group under first deputy chief of staff of the presidential administration Vyacheslav Volodin,” Timakova said. The working group is expected to gather for its first session in the middle of the week. 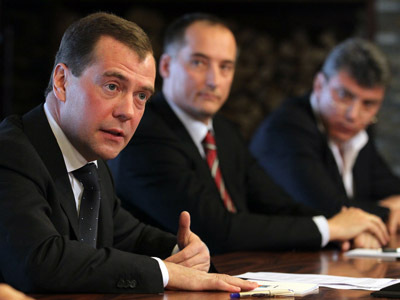 Last week, Medvedev discussed political reforms with the leaders of registered parties.